C-12 Equals Patchboard Column And Row Respectively, As An Example. 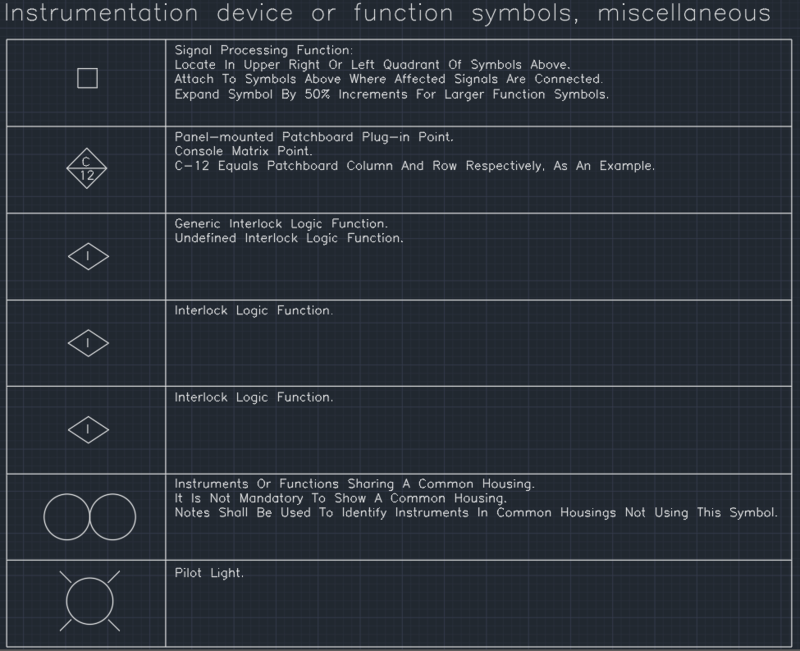 Notes Shall Be Used To Identify Instruments In Common Housings Not Using This Symbol. It Is Not Mandatory To Show A Common Housing. Instruments Or Functions Sharing A Common Housing. Expand Symbol By 50% Increments For Larger Function Symbols. Attach To Symbols Above Where Affected Signals Are Connected. Locate In Upper Right Or Left Quadrant Of Symbols Above.